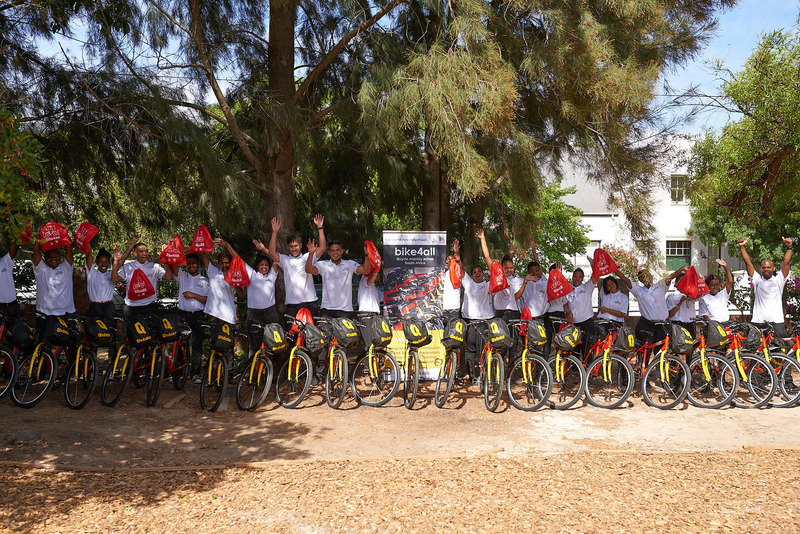 The Franschhoek Hospitality Academy students received a gift that will help to change their lives. 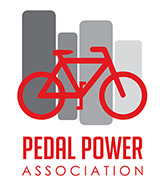 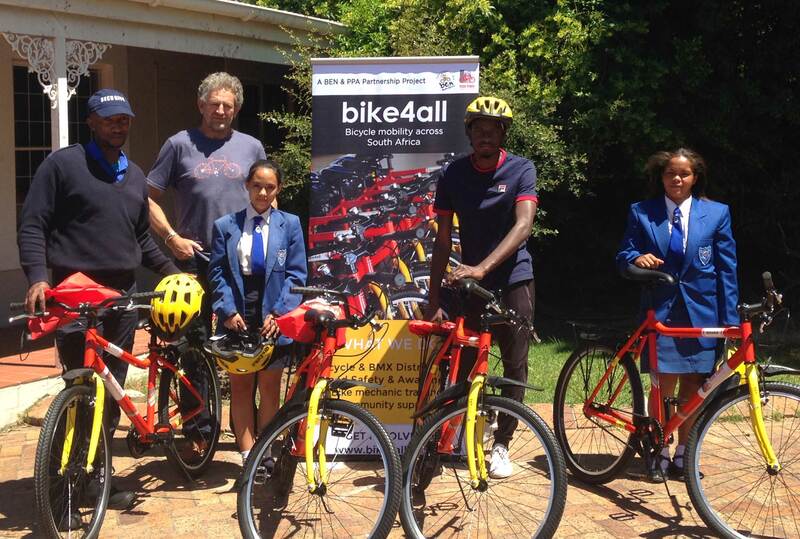 Thanks to Pedal Power Association (PPA) Exco member Gordon Laing’s “Pay It Forward” initiative with Cape Talk Radio, all 21 students of the Franschhoek Hospitality Academy class of 2019 received Bike4All bicycles. 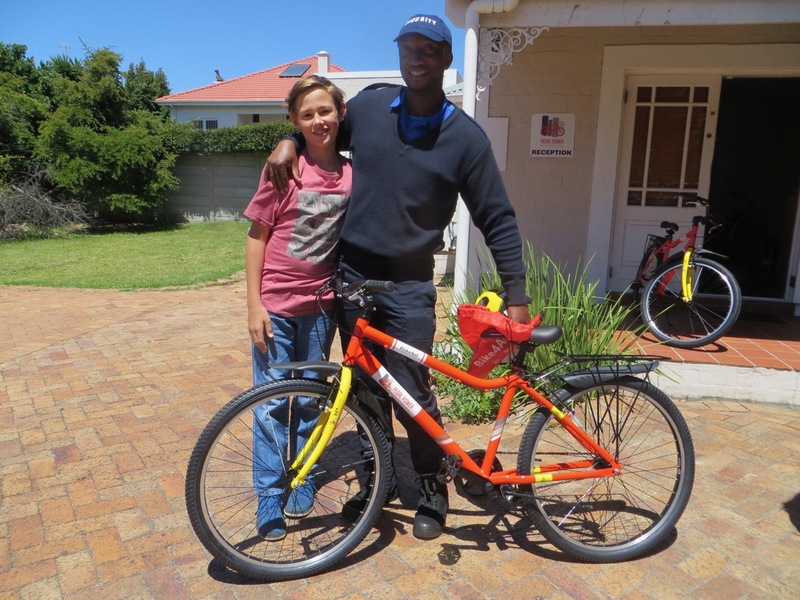 Eric is the latest worthy recipient of a bicycle from our Bike4All/Cape Talk radio initiative. 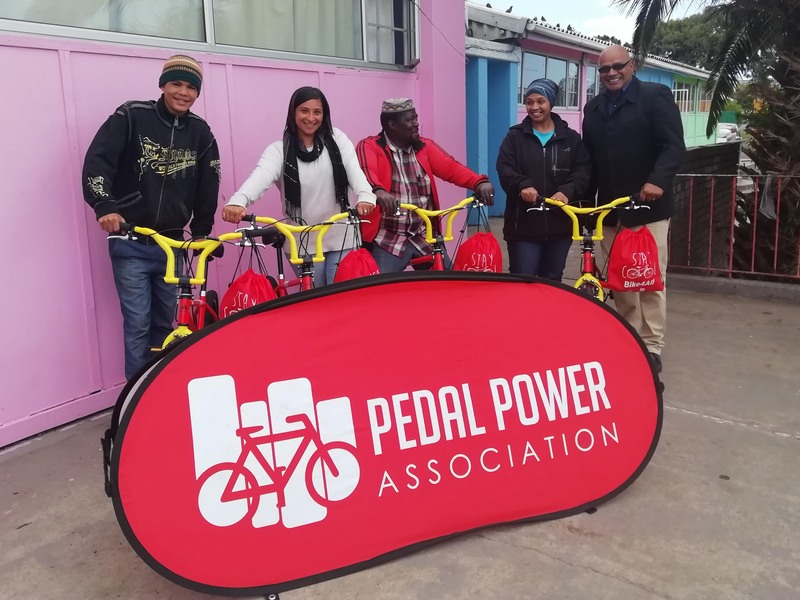 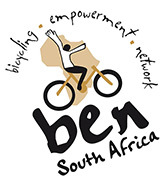 With more than 50 bicycles waiting for new owners, we asked Cape Talk and radio presenter John Maytham, for nominations from the public on who they think would be worthy recipients of a Bike4All bicycle. 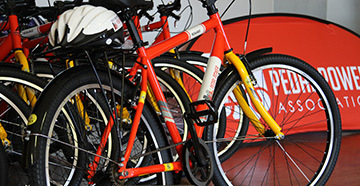 A lucky win meant Bike4All could donate 50 more bikes. 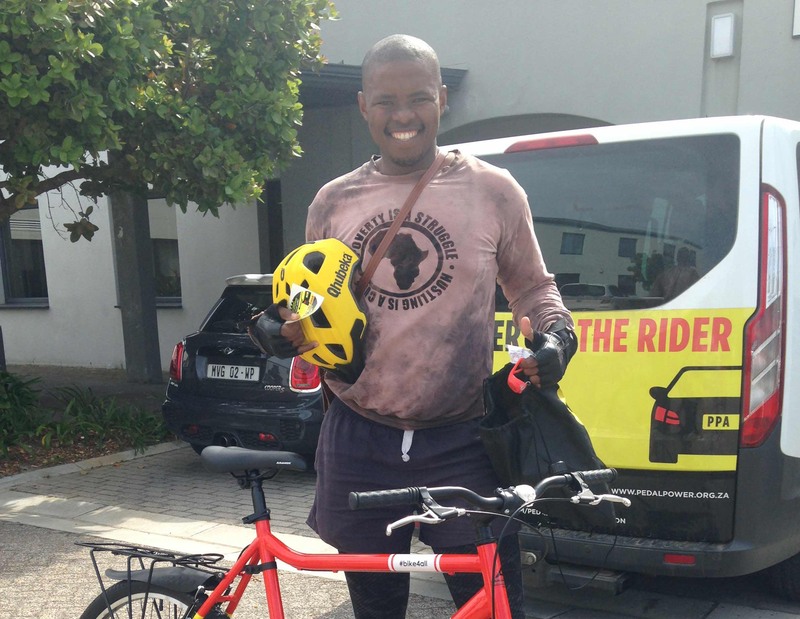 After striking it lucky by winning a competition on Cape Talk radio just before his birthday, Gordon Laing, one of our Exco members, decided to use his prize to Pay it Forward.